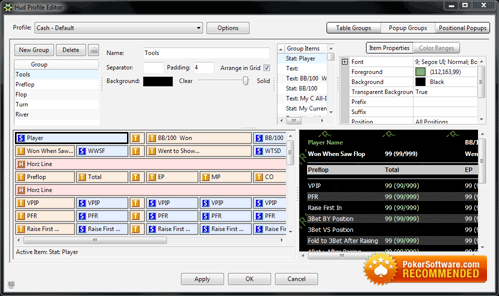 The ultimate online poker software suite of tools, created for players just like you. 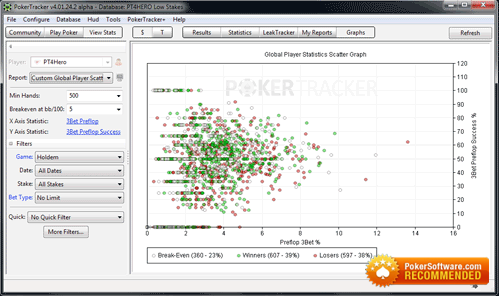 Track, analyze and help improve your online poker game with PokerTracker 4! Download The PT4 Free 30 Day Trial Today! online poker players since 2001. PokerTracker 4 delivers the edge you need to focus and improve your game while simplifying your online playing experience. There's no need to wait. Take advantage of the 30 day free trial today to begin improving your game immediately! Whether you are looking to play more tables, increase your hand volume, or just simplify your poker experience; TableNinja II can improve your online poker workflow and maximize your multitabling experience. TableNinja II supports simultaneous play at Full Tilt, Party Poker, iPoker, and PokerStars including initial support for PokerStars 7. Many of the screens have tutorial videos, which should come in handy for anyone learning the software.